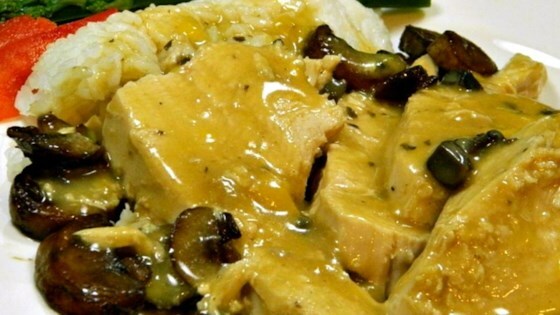 "With just a few ingredients, this comes out very tender and with the best-tasting gravy!" Spray inside of a slow cooker with cooking spray and place turkey breast into cooker. Add cream of mushroom and Cheddar cheese soups, cover cooker, and cook on Low for 8 hours. If preferred, set cooker on High and cook for 4 hours. Seems too simple to be so great but it really is! This is the 3rd time I'm making a turkey breast in my slow cooker this way.